Explore our free resources to help develop your personal financial skills. With everything from debts and investments, to mortgages and pension planning, you can find out more with our practical guidance on how to manage your money. We've collated a range of free content for you to take your learning further on this subject. As you work through each week of the course, stop by OpenLearn to find articles, podcasts and plenty more so you can explore that week's topics in more depth. Are you running your finances, or is your cash giving you the run around? 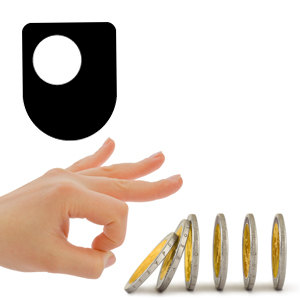 Get some tips on how to tame your money from The Open University. Jane Frecknall-Hughes, Professor of Accounting at The Open University Business School, explores how the challenge of defeating Bonaparte swept aside taxes on bachelors and chimneys. The new 'service economy': is it a direct result of globalisation? This free course, Living and working in the new economy, examines the switch from manufacturing to services and looks at the impact of information and communication technologies on the economy as a whole. The 'new economy' has many benefits, but at what cost? Was it love or greed that brought about the end of the credit affair? How much home do you own? You pay your mortgage, month-in, month out - but how much home do you own? Take part nowHow much home do you own? dunktanktechnician under Creative Commons BY 4.0 license What does scientific evidence tell us about making our homes energy efficient? Worldskills UK under Creative Commons BY 4.0 license Should I use a skills-based CV to smooth the gaps in my employment history?